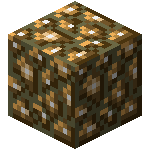 Everyone post a little about you, wether its just your Minecraft name and general location, or an elaborate description of your day to day is up to you. Suggestions for the forum for most but also for the server as well. They are always welcome and i try my best to work on problems as they come up. » Here is the backstory! What would everyone think about restarting the server?